Beautiful engraved pint glass, a great gift for your Best Man. 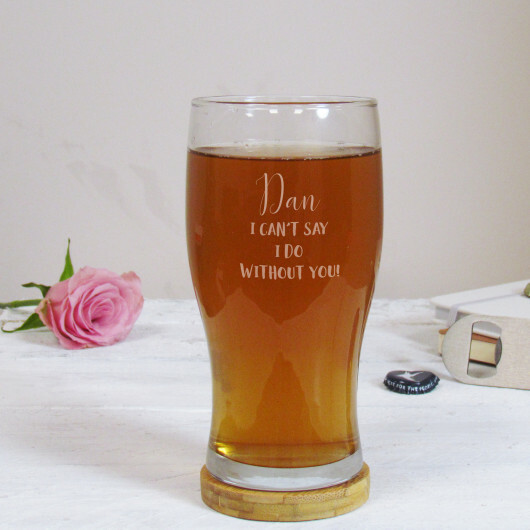 This pint glass is a great way to oficially ask your Best Man to be part of your big day! 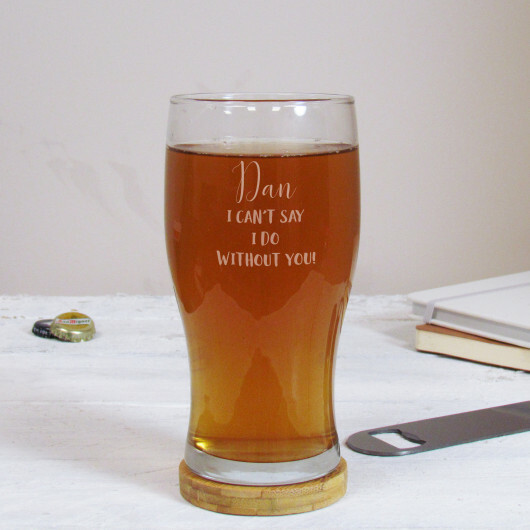 You can personalise this pint glass with a name which will appear above the 'I CAN'T SAY I DO WITHOUT YOU!' design.